In December, Hearst Ventures participated in the Series A round of funding for Signal Media, an artificial intelligence-powered information company that helps its clients monitor the world’s news media. Signal CEO David Benigson offers insights into the platform’s technology, which is designed to help businesses make smarter and faster decisions. How does Signal track and monitor news cycles across global markets? David Benigson: Signal is an artificial intelligence company with the goal of transforming the world’s news into accessible, actionable bits of knowledge. We apply cutting-edge technology that we have developed here, in house, to enable clients to monitor the news for whatever they deem important: company mentions, client news, trending storylines and more. Our motoring tool analyzes news in real time across over 100 markets and 40 different languages. We are trying to bring clarity to the news and get users the information they need to know, along with information they didn’t even know they needed. What types of clients does Signal serve? Benigson: We have found success with clients across a range of fields—from big financial institutions to communications firms. One of our initial areas of focus was transforming the way public relations departments work and receive coverage concerning their brands. Increasingly, we are seeing the value of our service diversify into areas that are beyond the scope of our initial plans, including client intelligence, horizon scanning, and regulatory change. Ultimately, we enable our users to search for companies, topics and themes of interest. This provides them with the ability to track their reputation, understand wider market insights and operate more effectively across the board. How do you see clients most effectively using Signal on a daily basis? Benigson: Let’s take a big wealth management firm as an example: Previously, they were only able to track mentions of themselves in the news. Today, they are able to not only monitor each of the subdivisions of their very large company, but also monitor their competition, key spokespeople, clients and key trending topics that impact the regulation of their business. And they are able to do all of this within our single platform. What we have been able to do is allow our clients to have specific and narrow searches which provide only relevant information. Our search results give a holistic view of the interests of the company and the sphere in which they are operating. Additionally, users are getting this information in real time and from all across the globe. Can you share some details about the experiences that led you to create Signal? Benigson: Initially,I studied law and then worked with a few startups. After that, I worked with chef Jamie Oliver, who himself created a media company. I founded Signal when I was 24 years old, so I had very little direct managing experience. The process of launching a company has been both amazing and challenging. I’ve learned so much over the past three and half years as the company has scaled up. The original idea for Signal came from speaking with people in the industry about how they were receiving news every day and what tools they were using to obtain that information. It rapidly became clear that there was a big gap in the market for a tool that could more effectively help people make sense of the vast and ever-growing web of information available online. What makes Signal different from the other services that are offered in this field? Benigson: It really starts with our artificial intelligence technology. Signal is looking to automate things that have, up until now, been done manually. Artificial intelligence means that, in a sense, we can be uniquely ambitious. There are millions and millions of new documents added to the internet each day, and processing that data and connecting that information to users in real time is only possible because of our powerful, intelligent technology. On top of that, our user experience and customer service is a real draw. We have spent a lot of time thinking about what happens when a client is trying to work with Signal, and we want to make that process as frictionless as possible. Our strength is that we are able to combine the power of our technology with the human experience of using our platform. Because of that, our product delivers an unparalleled experience that sets us apart from the competition. Signal provides businesses the information they need to know to help make smarter, faster decisions. Signal has evolved a great deal in the past few years, achieving 500 percent YOY growth from 2015 to 2016. How have your teams worked to iterate on the initial concept? Benigson: We have gone through quite seismic changes since developing the initial concept, and we are now servicing around 100 corporate clients. Signal has concentrated on adding value to our users by identifying what they continue to struggle with when it comes to monitoring their brands. We want to provide end-to-end solutions, so we continue to seek user feedback. Signal has employed user-centric design processes that ensure we have regular interactions with our clients—this all feeds directly into the product development process. Who makes up the Signal team? Benigson: Our team has grown to around 50 people. 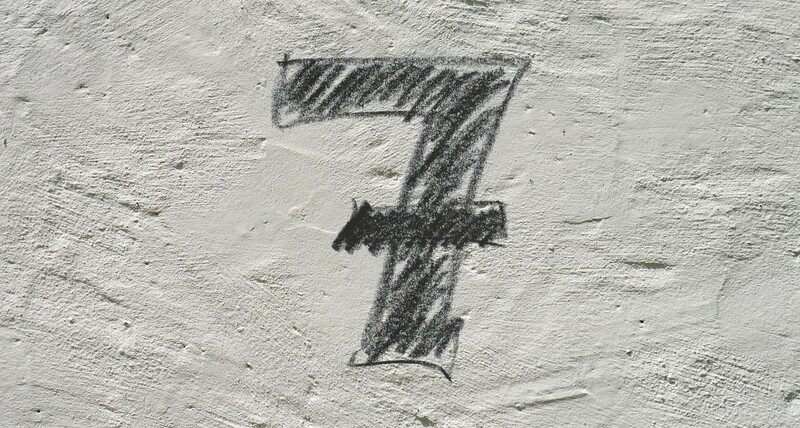 Two years ago there were only 10 of us, so we are expanding rather quickly. Half of the team is made up of product developers, tech engineers and data scientists, and the other half is made up of sales, marketing and client relations employees. Our latest round of fundraising will allow us to invest in both of these key areas at a larger scale. How are you working to secure more clients based outside of the U.K.? Benigson: Signal has a small operation already running in New York, but we want to continue scaling that up. We see the U.S. as being the largest and most attractive market for us, and we are extremely keen to make that work. We are always working with our sales and marketing teams to improve how we reach people outside of our current core areas. What’s next for Signal in 2017? Benigson: We are continuing to expand the data sets that we use, including in the legislative and research fields. The broader the selection of data we aggregate, the more we are able to apply our products to people in large organizations. We are also looking to launch new products on top of our core platform. Right now, we are gearing up to launch a specific product that allows our clients to track changes in regulation as they happen, helping them to remain compliant. We also have a mobile app that we are preparing to launch, as well as a few new tools within the platform itself. From the Signal perspective, what are some of the biggest benefits to your partnership with Hearst? Benigson: A big part of Signal’s platform is how we leverage news media, and there is no better organization at the edge of innovation in news distribution than Hearst. They have offered unparalleled strategic advice when it comes to our expansion and how to leverage technology to get the most value. I also think that when looking at U.S. expansion, Hearst will be a key player in helping us build a network. We are really excited for the opportunity to work with, and learn from, the Hearst Ventures team. What’s Verizon’s master plan after nabbing Yahoo? The rumors were true, and Yahoo, one of the pioneers of the web, is now part of Verizon, the largest wireless carrier in the U.S., after an all-cash deal of $4.83 billion. It’s a small sum for one of the most popular websites, which was worth more than $125 billion at its zenith in 2000. Many are dissecting Yahoo’s downfall, which likely stemmed from an ongoing struggle with its focus: Amazon owns shopping, Google owns search, Apple owns mobile hardware and Facebook owns photos and the social graph, as the New York Times’ Mike Isaac outlined. Yahoo insisted on branding itself as a media company when it could have focused on building out its technology, and tried to do too many things at once. The result is that it never became known for anything in particular, and did a mediocre job at everything. But there’s still plenty of potential upside in the acquisition for Verizon. All eyes are now on the company to see what kind of strategy it will take, and whether it can turn Yahoo’s downfall into a climb to the top for itself. Anyone who’s been paying attention knows that what Verizon was really after when purchasing Yahoo was not the brand itself. What Verizon did want was Yahoo’s 22 years’ worth of data on consumer behavior and ad technology. Verizon previously acquired AOL, another once boehmouth and now faltering web property, marking Verizon’s push into content and ad tech. Now, with the scale from the Yahoo purchase, as well as Yahoo’s “mobile applications and advertising technology for video and handheld devices,” as Bloomberg’s Brian Womack wrote, Verizon might be able to lift itself into a higher echelon on the web. And why would it want to do this? Perhaps investing in the advanced technology of ailing web companies is a good way for Verizon to stay relevant, according to Wired’s Brian Barrett. Because Verizon is one of the largest carriers, it already saturates the market, and so growth in its traditional business is limited. Moving up in the evolving digital advertising business, though, is a way for Verizon to diversify and grow. So now Verizon — with AOL and Yahoo, both of which have sophisticated ad tech — can aim higher. As the New York Times’ Vindu Goel and Michael de la Merced reported, “The idea is to use Yahoo’s vast array of content and its advertising technology to offer more robust services to Verizon customers and advertisers.” Verizon has the benefit of location data, although that is probably limited to Verizon users, and other Internet companies have similar data. And let’s be clear: The duopoly currently at the top of digital advertising are Google and Facebook, both of which posses a staggering amount of data from users. They’re certified Internet behemoths. The two companies together took in 55% of the digital ad market last year, according to eMarketer. A combined Verizon and Yahoo, meanwhile, would take in six percent of the digital ad market. Verizon may have climbed a few steps on the ladder with the acquisition, but Google and Facebook are already in the clouds as Verizon finds its footing. Does that mean Verizon should back down in digital advertising, and succumb to the fact it’ll probably never reach Google-Facebook levels? Yes and no. Trying is the only way it will continue to make a dent in the industry, especially as people spend more time on their phones. So investing in ad tech and mobile video, like Verizon’s video service go90, is a smart decision. Because “ultimately, AOL’s ad-sales technology could encourage brands to spend more money across a range of Yahoo websites and apps,” as the AP’s Tali Arbel wrote. But Verizon will have to keep its expectations realistic. That goes not just for competing with Facebook and Google, but also for ensuring its targeting doesn’t amount to a privacy breach. It already got in trouble with the FCC in March for enabling a “supercookie.” Now, as the AP’s Arbel reported, “the FCC wants broadband providers like Verizon to seek a customer’s permission in most cases before sharing data with advertisers.” That’s not something that tech titans Google and Facebook will have to deal with because their Internet access plans are still nascent. Bottom line: Verizon is now a serious player in ad tech and online content, with even more consumer data—but it has a long way to catch the leaders. Verizon/AOL Deal Focuses on Mobile, So What About Content? Something about AOL and buyouts always brings a strange sense of déjà vu. It takes us back to the glory days of the first dot-com era when then-upstart AOL bought media giant Time Warner for $164 billion in 2000. Fast-forward 15 years, and the shape of AOL’s identity is much more about ad technology—and popular content with Huffington Post, TechCrunch and Engadget—than it is about dial-up Internet (though it still has 2.2 million of those subscribers too). 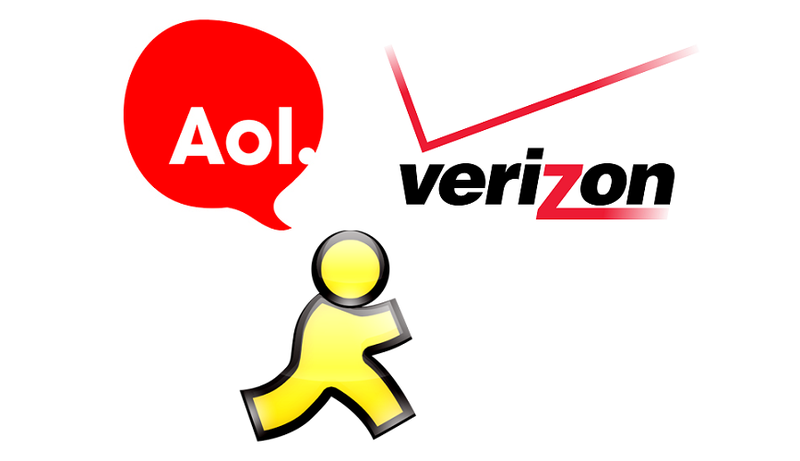 Last week, Verizon announced its plans to purchase AOL for $50 a share, in what amounts to a $4.4 billion deal. Some observers have noted that these numbers are pretty small for a company like Verizon, and that AOL continues to remain a major player online, especially when it comes to the future of online advertising: mobile and video. In fact, these are attributes Verizon is banking on to help it grow in mobile and video advertising as it builds its own mobile content collection as well. What AOL stands to gain, however, may necessitate some soul-searching on its identity—or rather, how other parties view its services, and what those services have come to mean in our modern media environment. AOL owns several global brands such as Huffington Post, TechCrunch and AOL.com. Just like media giants Facebook and Google, it’s in the business of helping brands use sophisticated technology for online advertising. It’s also invested heavily in online video. But will Verizon want to keep those content sites that have in the past been critical of the cell giant? The big rumor is that AOL has been in what Re/code calls “advanced discussions with a number of parties” to spin off the Huffington Post brand. It would bring in more money for Huffington Post, which has been expensive for AOL to maintain and monetize, especially against feisty competitors such as BuzzFeed and Business Insider. 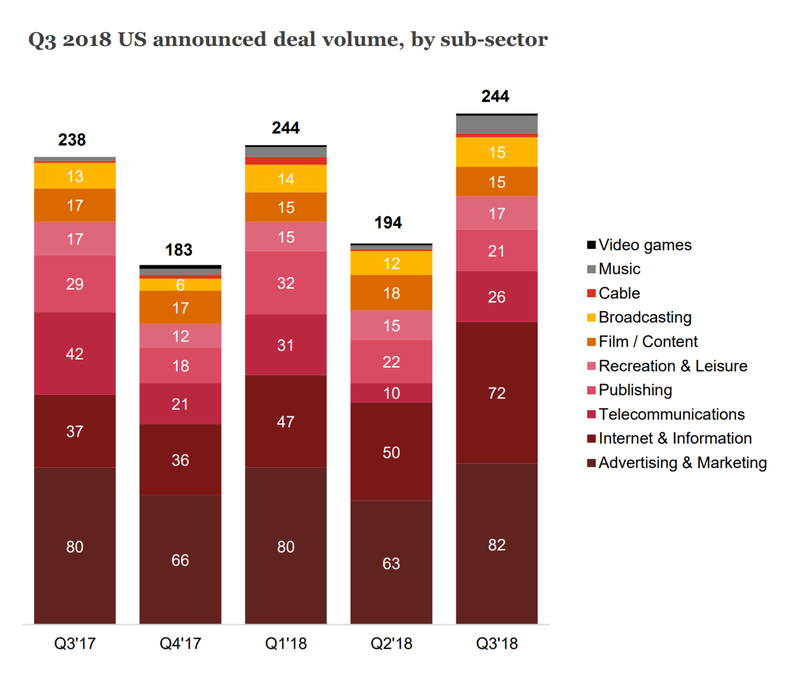 According to Re/code’s Kara Swisher, the most serious talks were with German media company Axel Springer, as well as private equity firms. Her sources put a price tag of $1 billion on the Huffington Post group, but she couldn’t get a public confirmation of talks from CEO Tim Armstrong or others at AOL. “Sources said Verizon was far more focused on advertising tech and video and that some kind of spinoff or joint venture was far more likely for the Huffington Post,” Swisher wrote. Indeed, AOL’s advertising business is showing positive signs: It’s reported a seven percent growth rate in this year’s first quarter, and as Trefis, a company which analyzes stock prices, noted, much of this growth came from its programmatic platform across the third-party advertising network. Trefis also estimated that third party display advertising made up nearly half—42.2%—of AOL’s value. All of that is very good for AOL as well. AOL honcho Armstrong said in a memo to employees after the acquisition announcement, “If there is one key to our journey to building the largest digital media platform in the world, it is mobile.” And Armstrong deserves all the credit in the world for turning around an online has-been into a digital powerhouse commanding a premium payoff. So should AOL now be known for its brand, or for its platform? Another lingering question is what mobile advertising itself should mean now. Ads on a mobile device mustn’t just try to get a person to buy something; they must also utilize data and key information about that person to create a custom advertisement for that specific individual. As Manjoo put it, “People in the ad-tech industry said that in buying AOL, Verizon’s immediate goal may be to marry its data about customers to AOL’s capacity to serve ads to increase this sort of relevancy.” And data mining is what Facebook and Google already do so well. Ultimately, this deal might be less about the booming AOL content business and a lot more about ways to serve mobile and programmatic ads into a lot more content. Forbes Media has announced the acquisition of the private photo sharing app Camerama. Financial terms of the deal were not disclosed. Effective immediately, the founder of Camerama Salah Akram Zalatimo will join the company as VP of Mobile Products, reporting to Forbes Media Chief Product Officer Lewis D’Vorkin. According to D’Vorkin the move does not signify an interest by Forbes to be in the photo sharing app business. Rather, Zalatimo will assume the responsibility of building on Forbes’ mobile strategy by developing a platform of apps for the company that leverages their core technology and feature set—such as profiling, notification, and sharing–which served as the foundation of Camerama. He and Zalatimo discovered that they were like minded when they met socially last year and found that they were interested in each other’s businesses and in exploring the possibility of working on the future of mobile together. D’Vorkin points out that, given its DNA, Forbes is always interested in those with entrepreneurial vision and he admires both Zalatimo’s technological acumen, but also his business savvy and background, which includes stints at McKinsey & Company, Sony Music Entertainment and Bain. With its acquisition of AnandTech, Purch continues to put its money where its mission is. Since it rebranded from TechMedia to Purch last April, the company has steadily continued to build up the ways in which it can “ease complex buying decisions for shoppers.” Fitting neatly into the buying funnel, AnandTech further enhances the reviews component of the ever-growing Purch stable of sites, joining its Top 10 Reviews, the Tom’s brand of tech media sites (purchased last year) and BuyerZone (purchased in June). However he emphasizes the importance of what the two brands have in common: loyal, engaged audiences of tech enthusiasts. “With acquisitions, we always look at the user community and the people driving that community,” according to Llewellyn, pointing out that Purch focuses on the connection of content, community and commerce. He also says that the feeling across Purch is one of admiration and respect for AnandTech’s rigorous reviews process as well as its writers and editorial team, who will be staying on as part of the acquisition. AnandTech Editor-in-Chief Ryan Smith–who took the role after the site’s founder Anand Lal Shimpi’s retired from journalism to join Apple in August–wrote a lengthy post about the search for a buyer. In it, he says Shimpi spent almost a year meeting with potential buyers to find one that had a sustainable business model (particularly given that AnandTech has been profitable since inception) and could improve the site’s reach. They also sought a buyer that had values that aligned with theirs. Smith found the process hearting, noting recent investments from traditional and new media, as well as VCs in the business of creating high quality content. Yesterday, in its Q1 earnings call, AOL CEO Tim Armstrong was “pleased to report another quarter of growth at AOL.” Along with growth in AOL’s platform area, video and global expansion Armstrong specifically pointed to growth in programmatic advertising as a factor in the company’s performance. His statements followed just a day after AOL purchased Convertro, a maker of attribution modeling technology, to power its Adap.tv, AdLearn Open Platform and ONE by AOL.